Make sure your son or daughter arrives with everything they need. We’ll send out guides and event programmes, and they’re also available to download before each event. Encourage your son or daughter to prepare questions that they may want to ask on the day. Our staff and students will be available to talk to at subject and information fairs – and we’ll tell you everything you need to know. NTU has four campuses, based in and around Nottingham. You’ll be visiting the campus where your son or daughter’s course of interest is taught. Make sure you know how you’re getting to the University and the appropriate campus, and – if you’re travelling by car – where you’re planning to park. Taking care of these practical elements will help to reduce any unnecessary stress on the day, and let you concentrate on the good stuff! 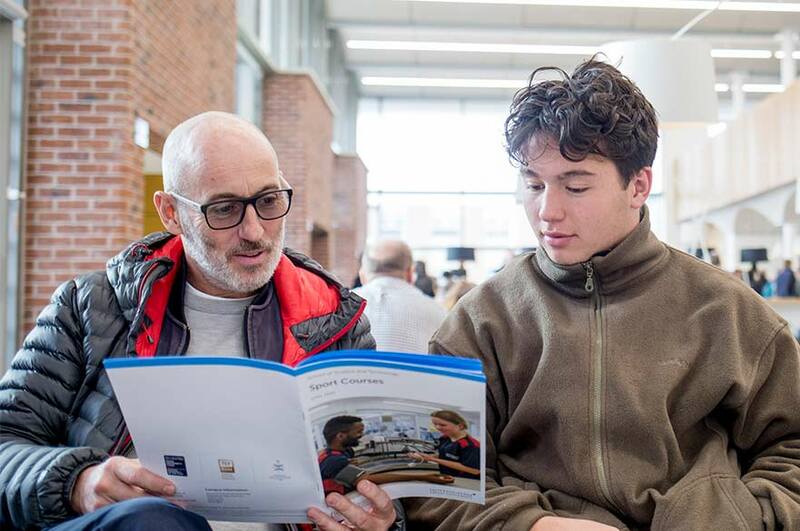 We recommend you prioritise your day around the subject talk that your son or daughter is interested in – these are great opportunities to meet and hear from academics and current students on the course. If your son or daughter is interested in multiple courses taught at different campuses, we recommend prioritising the campus at which their preferred course is based. Bus services are available on the day, should you need to travel between our campuses. Please note that it’ll take roughly 20—30 minutes to travel between our Clifton and City campuses, and around 45 minutes to get to Brackenhurst from the city centre. If you’re planning to spend the night in Nottingham, you’ll find plenty of hotel information on the Visit Nottinghamshire website. Although it might feel like your role on the day is taxi driver and lunch-provider, accompanying your son or daughter on an open day gives them valuable support and a second pair of eyes. It’s important to let them take the lead, though – so try to maintain the right balance between being supportive and pushy! It might be helpful to split up and encourage your son or daughter to speak to staff and students, and build up their confidence by exploring the campus and city independently. There’s no need to book onto our talks and tours – simply head to the relevant room or meeting point, as listed in your event planner. Due to the popularity of some subject areas, talks may reach capacity; in this case, we always give priority to students, and may ask you to attend a later talk. And if a talk’s at full capacity, it’s a great opportunity to speak to our staff and students, and refuel on complimentary refreshments! We also recommend that you join a student-guided campus tour, led by one of our Student Ambassadors. They’ll give you a first-hand insight into student life at NTU, and answer all of your questions. Drop-in at our accommodation at any point during the day. There’s no need to a book – just follow the signs and take a look around our residences. You can also chat to our team on the Accommodation stand for further information. You should also try to explore our facilities, look around the libraries and lecture halls, and get a good visual idea of where your son or daughter could be learning. 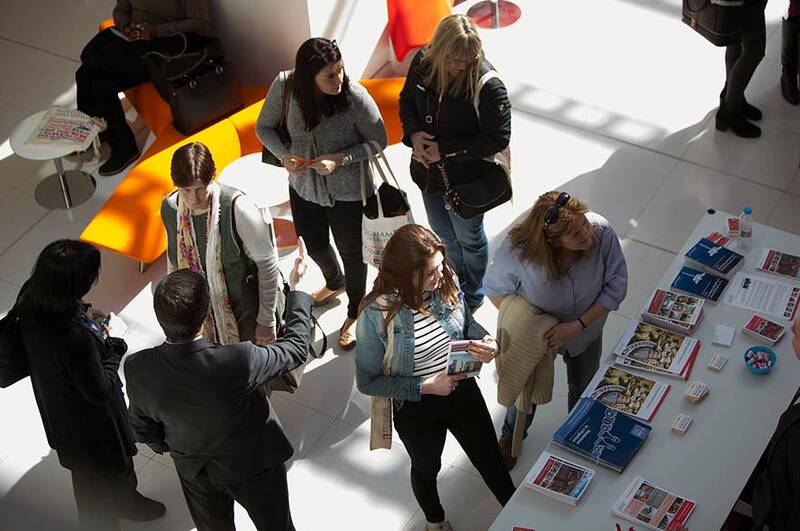 If they’re attending several open days, it’s worth taking photos and notes on the day, to help them through the process of deciding where to study. 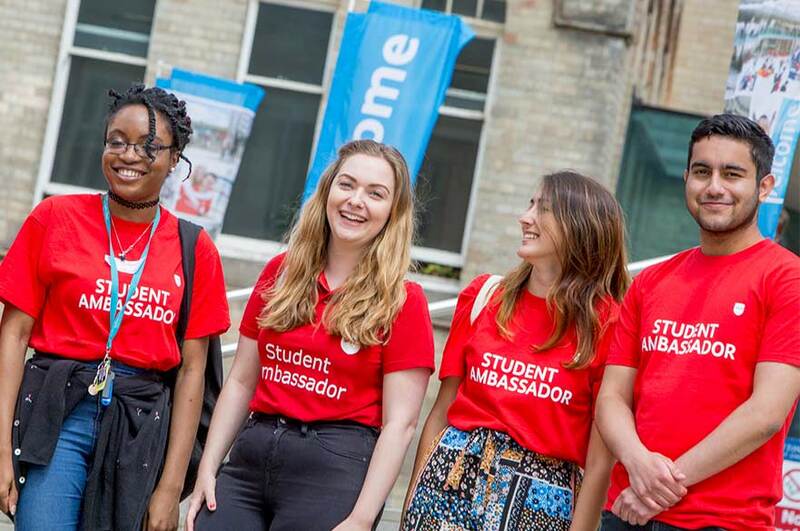 Encourage your son or daughter to talk to our lecturers, Student Ambassadors and support representatives – as well as their subject, they’ll get good advice and guidance on student finance, accommodation, and the wide range of student support services available to your son or daughter. There are plenty of outlets on campus to get lunch and take a break, but it’s always worth taking time to get to know Nottingham. Our guide to Nottingham will give you more information on great spots to eat, places to shop, and sights to see. If you have any questions about our open days, please email generalopendays@ntu.ac.uk with your query.